What makes a divorce difficult is the shock blinds the mind, and rationality is at the stake. The reality of failure to keep it all together creates a huge burden on both the parties, especially on men. Due to the closed approach men take towards emotions, all the emotional upheaval gets bottled up and gets out of control in untoward ways. This, under any other circumstances as well as in this regard, is absolutely detrimental. Men need to prepare for the painful legal procedure with some clarity. Since the trauma gets the better of them, here are a few to-dos, maintaining these would help both the parties separate ways peacefully. Yes, it is psychologically proven, when we can’t find a rational way to deal with our anger and failure, our frustration seeks a release in terms of violence. You need to realise the importance and abide by the ‘no violence, at any cost’ principle. The principle will help you in many ways: by not getting violent, you will have a brighter equity in the court room, when you don’t indulge in violence, you generally would go for a constructive way of letting your steam off. 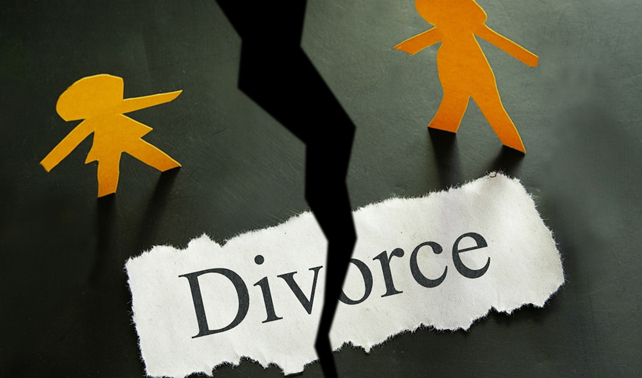 Once you’ve settled to get a divorce, please initiate the process of going separate ways with separating your bank accounts and other products like insurance and Credit Card facilities. This will help you clear a lot of confusion and untoward dramatic incidents that may harm your case in the eyes of the law. Remember, the clearer you make it for the other party and your advocate of divorce, the easier the whole process will become. It is a very human urge to connect with another soul, especially during an emotionally difficult time. Just because you are going through a divorce, please don’t indulge in forming any liaison of romantic nature. Also, please abstain from duress under all the circumstances. A little restraint will not only help you sort things out quickly, it will also help you maintain your dignity and prestige for the long run. Once you and your partner decide to go for a divorce, there is no point blaming each other for this misfortune. Rather, show respect and keep every aspect of the failed relation open for discussion. It may sound impractical and almost impossible, yet this extra effort will make the situation way healthier to cope with. Please consider this: if you discuss anything and everything about the relationship and post-divorce scenario, legally, many complications will not arise at all. Please try to remember that a divorce, however difficult, is a test for your character and this will have a bearing in the court room. All said, perhaps the best thing you can do is to hire a good divorce lawyer in Chandigarh. This is legal matter and you should rely on a professional to win the case. There is no point in ‘saving’ by not taking help from a professional as you may stand to lose a lot by not having one by your side.